About Us . . Concerts . . Conductor . . Rehearsals . . History . . Sponsors . . Links . . Contact . . 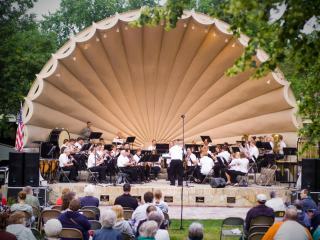 The Fort Atkinson Community Band is also a member of the Association of Concert Bands. Sponsorship of our organization is open to business, clubs and individuals. We are a registered non-profit charitable coporation under Section 501(c)(3) of the Internal Revenue Code in the USA. This means that we can issue charitable tax receipts for all donations by USA residents. You may contact us at our e-mail on this web page concerning our current needs.